We are thrilled to introduce a new series from Brizo – one of the many luxurious brands we carry in our expansive showroom. Inspired by the arts and crafts movement, every collection that they have produced is a work of art. When they sign “By Brizo,” it is much like the distinguishing signature of an artist or fashion designer. 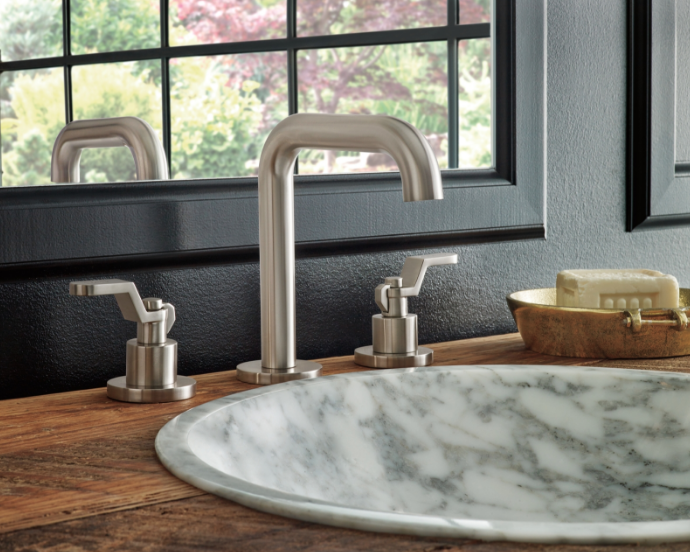 Each piece designed by Brizo is textured, simple, and industrial. It reminds us of old world and farmhouse designs. It’s no wonder that the architect and design community has truly embraced this collection. If you are redesigning your bathroom with architectural inspiration, Litze is the perfect bath collection for you. From lavatory sets to shower sets, it truly covers all the bases. Not to mention, each piece is highly versatile and comes with different finishes and handles to choose from. The Litze collection offers the following finishes: Brilliance Luxe Gold, Brilliance Luxe Nickel, Brilliance Polish Nickel, Brilliance Luxe Nickel with Teak, Polished Chrome with Teak, and a combination of Brilliance Luxe Nickel and Brilliance Polished Chrome. The options are endless! Besides finishes, one of the most extraordinary details within the Litze bath collection is that each lavatory faucet has the option for wooden handles. There are countless distinctive handle possibilities. You have the choice between bent tube spouts, high or low spouts, wide spread, single handle, or wall mount lavatory options. The versatility of this collection is outstanding. Now that you have a better understanding of the Litze collection, which products should you design your luxurious bathroom with? Here at International Bath and Tile, we welcome you to come view the Litze collection. 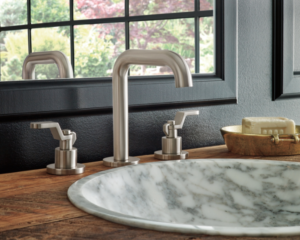 Imagine redesigning your entire home with matching Brizo products for a consistent and bold aesthetic. We have an extensive display of Brizo’s complete line in the showroom to help you execute your vision. Hello, one stop shop! We are more than happy to show you all of the different finishes in person. Our team is full of passionate experts with design experience. If you would like to schedule an appointment, please call us at (858) 346-7455. We look forward to hearing from you soon!